Nutritional Response Testing: Dr. Kydonieus has advanced training in this highly specific nutritional body analysis technique. He uses muscle testing similar to Applied Kinesiology to check specific body reflexes for weakness. This approach has helped get results when traditional nutritionists and medical approaches did not. Dr. Armastead gives a great over-view below, watch it. Chiropractic High Speed Instrument Adjusting – ACTIVATOR METHODS TECHNIQUE. ADVANCED PROFICIENCY RATED SINCE 1991. Supporting our, EMT’s, Police, Firefighters and all Military and their immediate family members we give YOU a $50 discount towards the First Day’s Initial Exam Services making it only $235 not $285. You will spend 90 minutes with the doctor doing high tech nerve tests to determine the cause of your problem hardly any other chiropractor will spend that much time with a new patient figuring out what their root issues are. Military Veterans can use a government program to pay for care at our office called, Veterans Choice Program where they can choose off-sight providers like Dr. Kydonieus if getting the VA Hospital is difficult or just too far away. So tell you VA doctor that you want to see the chiropractor in Ruckersville, Virginia and ask them to send you to us! 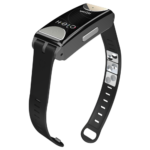 GET the Helo, the only wrist health monitor that can check your blood sugar without using a needle stick! Like a Fitbit but does 10X more! Custom Orthotics by FootLevelers. Computerized 3D foot scan and full biomechanical posture report. High Quality Herbal Supplements – Mediherb, Gaia and more!